Exceeds API Service Categories for CJ-4/CI-4/SN CI-4 Plus. Supreme 9000™ Full Synthetic Oil 5W-40 is a premium quality, heavy-duty engine oil formulated to extend engine life, while providing for extended drain capability and improved fuel economy benefits. Supreme 9000™ Full Synthetic Diesel Oil 5W-40 is engineered with finest quality of PAO synthetic base oils, an advanced performance additive package and a viscosity index improver. This unique blend creates a premium, longer lasting oil that withstands a higher heat range – up to 300° – than conventional oil. Our fully synthetic 5W-40 oil features our proprietary friction modifiers, Micron Moly® and Penetro®, which create a slippery, but tenacious shield that prevents metal-to-metal contact. This added layer of durability protection significantly reduces wear on bearings, rings, pistons, cylinders and valve trains. 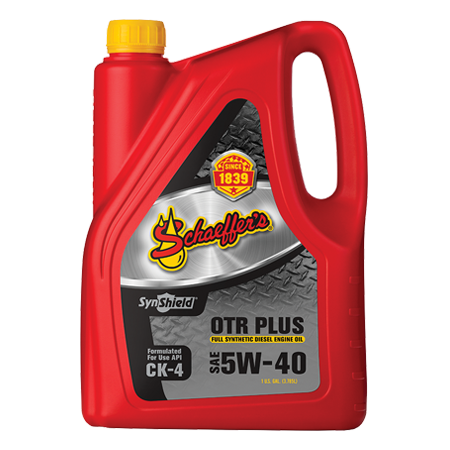 For extra protection in cold weather, Supreme 9000™ Full Synthetic Diesel Oil 5W-40 offers superior cold cranking and oil pumpability at low temperatures. Supreme 9000™ Full Synthetic Diesel Oil 5W-40 exceeds the requirements for API CJ-4 and is versatile for use in 2007 and newer emission compliant engines utilizing heavy EGR and exhaust after-treatment devices. It’s recommended for use in older, non-EGR and off-highway diesel engines and mixed fleet applications. Rapid circulation and pumpability even in low temperatures. Exceptional oxidative and thermal stability, especially at high temperatures. Exceptional low volatility characteristics to control oil consumption. Significantly less wear especially during high soot conditions. Reduced oil aging allowing for extended drain intervals. Enhanced detergency and dispercency to protect against soot overloading.